Guardian of Earth, Dr. Zeke Landry has even more reason to protect his planet now that his wife is carrying his child. Little did he know, the romantic evening they enjoyed at the beach watching meteor showers was the last peace on Earth. Fish and wildlife vanish. Seas thicken with mud. The dolphins warn Zeke to stay away from the ocean. An environmental catastrophe of the highest order is in the making, and no one knows how to prevent it. Zeke seeks extra-planetary advice from his alien allies, but the news is not good. The threat is dire, and the clock is ticking. Unless a solution is found, the Earth will be transformed into an uninhabitable world. Will Zeke and his android sidekick find a remedy in time to save the day? Dr. Zeke Landry, a descendant of the Ancient Ones and Guardian of the Earth, must defend his planet against an invasion of body-snatching aliens. These beings arrive courtesy of a meteor shower and set about consuming humans as food. In the form of dust, they cover an individual and take over his life energy. With their shape-shifting abilities, it’s almost impossible for Zeke to track them. No matter; they’ll find him because he’s the one person who can stop them. He must summon powers only recently awakened, unite his allies, and repel the invaders before they annihilate humanity. Along the way, he’ll do anything to protect his pregnant wife from harm. I received this as an ARC from the author for a fair and honest review. 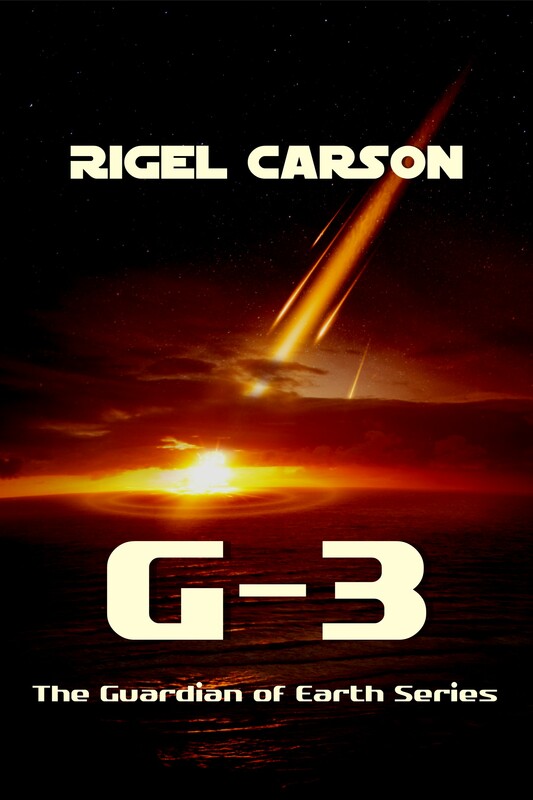 G-3 is the third book in the Guardian of Earth Series by Rigel Carson. I have not read either of the previous books in the series, but my lack of story history only stymied me a few times. Frankly, this story grabbed me from beginning, and the event of the alien invaders riding in via meteors is brilliant! Zeke Landry is the conscientious and much tested Guardian of Earth. He’s also not human, a fact that not even his wife, Jessie, knows. I secretly hoped she’d find out the truth during the course of this story. I would have loved to see her have a larger more pro-active role, but there’s the itsy-bitsy detail that she’s pregnant with the next Guardian of Earth and it’s hard to be pro-active when you have 24-hour morning sickness. The primary, secondary, and support characters are well-rounded and likeable. Forman, Zeke’s android body guard/assistant, is easily my favorite secondary character. What happens to him in the end is mind-blowing and you can bet I’ll be reading the next book to find out what happens. I also look forward to reading about Zeke’s reaction when he discovers Jessie’s right about the gender of their baby. Pure speculation on my part, but she’s just gotta be right about this one. 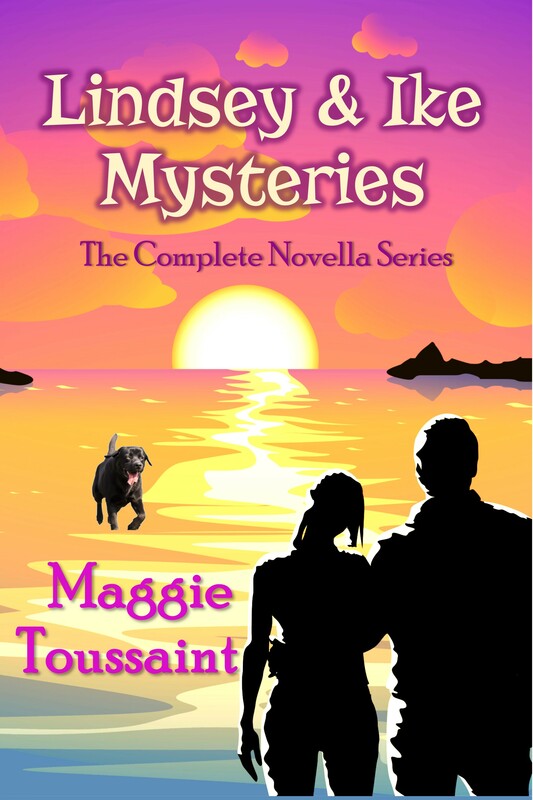 Four hours later, with Jessie sound asleep in their bed and Zeke rested from a few hours of shut-eye, he jogged to the beach, shed his clothes, and waded into the midnight-black surf. He dove through the breakers, enjoying the cool wash of water against his heated skin. Several meteors streaked across the dark sky. He opened his mind to telepathic communication, summoning the dolphins. A nudge to his side came almost immediately. Little Boz. And Nicola, Klickie, and Tunis. The dolphin pod dove and splashed Zeke for a moment, rejoicing in the contact, then Zeke settled into a back float, his hands on the heads of Nicola and Tunis. His thoughts linked with theirs, but instead of vectoring out to connect to the Tamans as he’d come to expect, the dolphins commandeered the link. The water, Nicola said. It’s bad. Her mindlink words startled him. Bad? How? She showed him a picture of sediment-filled water. The image looked like storm run-off water that was opaque. I don’t understand, he shot back. Dirty. The water feels wrong. Something was wrong with the water? His interest heightened, and he ventured deeper into the mindlink. I will analyze the water. Anything else? The ocean feels bad, she repeated. Does it hurt? Does your skin burn? No burn. Hard to swim. Thicker. The specific gravity of water didn’t change. But the dolphins were reporting a problem. I’ll look into the matter. Boz butted into Zeke’s hand. I’m tired. What did dolphins do when they tired? How can I help? Zeke asked. Fix the ocean, Boz said. You are the Waterman. While Zeke’s scientific expertise was in hydrology, he had also studied oceanography while getting his doctorate. However, Boz’s new moniker pleased him. He’d never had a nickname before he became the Guardian of Earth. The Waterman. He liked it. I’ll do what I can. Do you require medicine? No! All the dolphins echoed in his head at once. No medicine. No Browning Charles. Dr. Charles had captured Boz once before in the name of science and nearly drowned him. Zeke wouldn’t hear of his dolphins being anyone’s research subjects ever again. There are other, nicer people than Browning Charles who can help dolphins. The water, the dolphins reiterated. Fix the water, not the dolphins. Until then, we stay near freshwater sources where the water is better. The link quieted, so Zeke moved into the vacated space and quested out. His thoughts arrowed through the galaxy to Tween, the place where the spirits of his people resided. His late father entered the transmission first. Yes. The dolphins summoned me. They’re disturbed by the ocean. They say it’s too thick. Yesterday Baggy said he couldn’t catch a bottom feeder to save his soul. Was he serious, or just shooting the breeze? Sure sounded serious to me. I’ve heard other rumblings about missing catfish and toadfish. But there have been no reported sightings of sharks or gators, which would have eaten them, and there hasn’t been a deluge of recreational fishermen in the area. Perhaps it’s a normal population dip. Not like you to speculate. Have you studied the matter? Zeke blushed. I’m learning to be a husband. Aah, his dad replied. Say no more. A deeper voice boomed through the link. Is there a problem with the ocean on Earth? I’ll look into it, Zeke promised. Anything else to report? Deep Voice asked in a harried tone. Zeke’s kneejerk reaction to feeling like he might be wasting anyone’s time was to start spewing minutia. Let’s see. Thanks to global warming, the Earth’s getting hotter every year. Our economy always seems poised on the brink of collapse. International powers can’t agree on how to disperse the hoarded drinking water. And our planet is receiving a once-in-a-lifetime meteor storm. Big chunks of meteorite are whistling through our skies. The link quieted from gentle murmurs at the other end and then without warning burst into a frenzied uproar. Zeke cringed as the shouting filled his head. In the din, he couldn’t hear his dad’s voice at all. He didn’t know how many Tamans listened to his transmissions, but at times like this the number seemed quite large. Deep Voice quieted the noise. Tell us about the meteors. They’re calling it the Great Meteor Storm. Unlike our routine meteors, this crop is from deep space. Astronomers have been aware of its approach for decades. Some of the material is entering our atmosphere now and putting on quite a flash-bang show. These meteors – they’re different? Only in point of origin. No one seems alarmed about them. We get tens of thousands of meteor strikes each year. The noise on the link increased again. What? Zeke asked, impatient to learn what they knew. What do you suspect? Are we in danger? His dad spoke above the roar. Easy, Son. As you say, space is full of debris. You plan to check the water and the fish? Use stainless steel sampling containers. No glass. And weigh your containers before and after sampling. Check for rare trace minerals, along with your standard tests. What aren’t you telling me? No need to get alarmed. Meteors are commonplace. But worlds between the Taman home world and Earth experience unusual distress following a certain type of meteor. Zeke felt the chill and the seriousness of the matter invade his thoughts. We just repelled an alien invasion not long ago. Can’t we catch a break? Being Earth’s Guardian requires vigilance. Your job doesn’t have regular hours. You must be prepared to respond when threats arise. Is this what it was like for you, Dad? Were you constantly being pulled into intergalactic skirmishes? I had periods of busyness. Sometimes it seemed we careened from one disaster right into the next. Other times, I did a lot of fishing. I didn’t do it alone, Son. Remember that. Use your support system and the dolphins. We’re here, and you have a network of helpers through the Institute. And your mate will ease the way for you. His mate… His wife. Something I should mention. Jessie’s pregnant with our son. The link burst into cheers, claps, and whistles. Good job. Keep a close eye on her. Some Earth women have a difficult time in the first trimester with our progeny. Make sure she gets plenty of rest. Why? In Zeke’s crash course on his alien heritage, he’d learned one of the benefits of being a Taman was having the unusual ability to impregnate a human. The two species were similar biologically, to a point. In a previous conversation, his late father had explained the sameness as related to the “Great Dispersion,” in which a master race seeded the universe. Gestational differences. Jessie and the baby must be protected at all costs during this vulnerable period. What about your cousin? Angie? She’s off doing something for Uncle John. I haven’t seen much of her lately. Don’t worry. That will change soon. The link faded. As usual, Zeke resisted letting go until the last possible second. Questions pulsed through his mind about the unusual water sampling stipulations, about extra safety measures for his family, and about his cousin. One thing he knew about his ancestors. They would be great at writing books. They parsed out barely enough information to keep him coming back for more.